Both Savannah's son & my son Ashton are on the spectrum. We're trying to raise money for both of their needs. Thanks everyone. The 2nd Annual Friends With Autism 5K /Walk & Autism Month Kickoff will take place on Sunday, April 7, 2019 in Jacksonville, FL and we hope you will join us!! Funds raised will stay here! Funds raised will be returned to our community to provide direct services in the form of grant support, community accessibility, and advocacy for local families and people with autism. The health/resource fair of this event is free to the public. Help us raise awareness and acceptance for those on the autism spectrum! Join us to help the 1 in 59 with autism! Join us to support the estimated 21,900+ families and people with autism in Northeast Florida! 5K Finishers will receive a T-shirt and Medal. One-Mile Finishers children receive Medal and all participants receive a T shirt. Fundraising has its perks... Teams raising the minimum fundraising amounts receive a Friends With Autism grant to cover the cost of: school tuition, home school supplies/equipment/software, therapy, assistive technology, adaptive equipment, medical copays, medical services, summer camp, tutoring, and more!! Registration to participate in the 2nd annual Friends With Autism 5K/Walk is available on 1st Place Sports, our Race Managment company's website: http://www.1stplacesports.com/races/autism5k/. To learn more about Making Strides for Autism visit www.bit.ly/fwa5kwalk1. 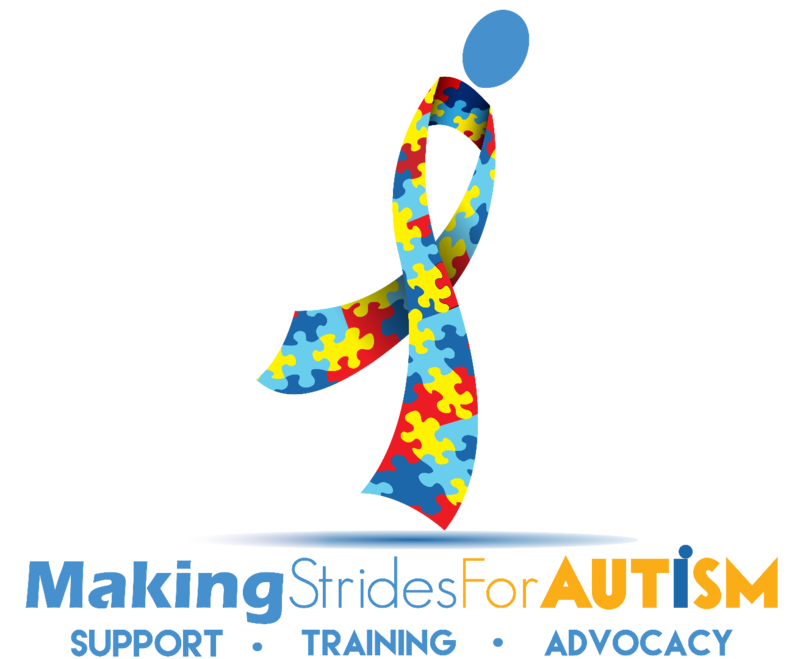 Email info@makingstridesforautism.org for Sponsor and Vendor information. Making Strides For Autism, Inc. is 501(c)(3) nonprofit organization recognized for tax-exemption under section 501(c)(3) of the Internal Revenue Code. Help Jeff raise $3,000 by making a donation. PLEASE NOTE: PARTICIPATING AS A FUNDRAISER DOES NOT INCLUDE REGISTRATION TO THE 2ND ANNUAL FRIENDS WITH AUTISM 5K & WALK. 5K/WALK REGISTRATIONS MUST BE PURCHASED SEPERATELY ON 1ST PLACE SPORTS, OUR RACE MANAGEMENT COMPANY'S WEBSITE AT WWW.1STPLACESPORTS.COM.